Background and research interests: Gill McIvor is Professor of Criminology at the University of Stirling and Co-Director of the Scottish Centre for Crime and Justice Research. She has a long-standing interest in women’s experiences of criminalization and punishment. 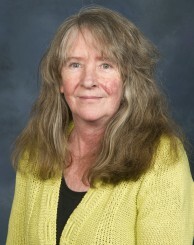 Her research in this area has included a large scale qualitative study of offending and desistance among young men and women in Scotland, a study of women’s experiences after prison in Australia and studies focusing on women’s experiences of community penalties, including the evaluation of the 218 Centre for women. Her recent publications include “Women, Punishment and Social Justice” (with Margaret Malloch, Routledge, 2012) and “Working with Women Offenders in the Community” (with Rosemary Sheehan and Chris Trotter, Willan, 2011). She is a member of the European Society of Criminology Working Group on gender and Justice and is currently involved in an EU funded study of electronic monitoring as an alternative to imprisonment in Europe.